INSTEON shines with its work in home lighting. From bulbs to dimmers to switches, INSTEON has this automated lighting stuff down cold. The LED bulbs save tons of money and energy. INSTEON excels at dimmers and switches, which also save you money and energy by using less of the latter — even in lighting devices that don’t support dimming themselves. 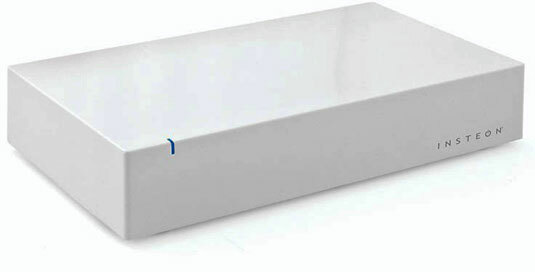 The company also has developed a smart hub that enables you, dear reader, to control all the lighting devices remotely. You’re about to dive head first into INSTEON’s home automated lighting and see for yourself what I’m raving about. As you begin to investigate INSTEON you’ll most likely run into the term dual-band. Dual-band refers to how INSTEON manages communications among its devices in your home. INSTEON uses a dual approach, utilizing your home’s built-in wiring as well as RF (radio frequency) to converse among devices. This ensures that no matter how far an INSTEON device may be from other INSTEON devices or hubs, they’ll still stay in contact. Thumbs up, INSTEON! INSTEON LED bulbs are much more energy efficient than standard light bulbs, using anywhere from 9 watts to 12 watts (depending on the bulb) and providing light that’s equivalent to a 60-watt standard bulb. Credit: Image courtesy of INSTEON. LED bulbs fit right into your standard bulb sockets (A19 for typical bulbs and PAR38 for recessed lights), so there’s no need to buy new lighting sockets. Create custom lighting scenes using different levels (preset brightness) and ramp rates (how long it takes your bulb to turn on or off). Color temperature for INSTEON bulbs are set to 2,700k, which gives you a rich, warm light. INSTEON LED bulbs are built to last for 52,000 hours, compared to only 1,000 hours for typical bulbs. According to INSTEON, its bulbs will cost an average of 96 cents a year to operate, compared to more than $7 a year for standard bulbs. INSTEON bulbs are built to dim, which is not something that all LED bulbs can boast. INSTEON bulbs do indeed dim, but you need INSTEON dimmers, or the INSTEON hub paired with the INSTEON app, to perform this action. And no, you cannot use INSTEON bulbs with your standard dimming switches; they simply won’t work. Couple your INSTEON light bulbs with INSTEON motion sensors. With this kind of setup, you can have your lights come on when motion is detected in the room you’re entering, or to go off once you leave the room. INSTEON LED bulbs are great, but to maximize their usefulness you need to get your hands on INSTEON dimmers and switches, too. These little fellows are built to work with INSTEON products, so they fit seamlessly into your INSTEON environment. 2474DWH: This puppy is designed for junction boxes that have no neutral wire. The first caveat is that it will only communicate in RF, not dually through RF and your home’s wiring. 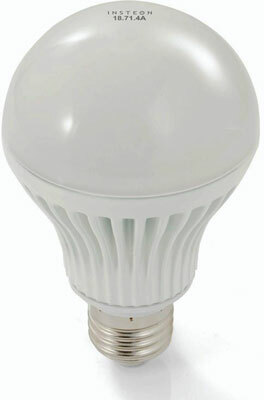 The second is that it will only work with dimmable incandescent lights, not LEDs. 2477DH: This bad boy is the dimmer switch for high wattage needs. It can dim and switch up to 1,000 watts. It does require the presence of a neutral wire in the junction box. 2477S: This on/off switch does only two things: turns them on or off, no dimming available. However, it does still connect to your INSTEON network, and it does enable you to remotely control more than just lights, including items such as ceiling fans. 2477D: This dimmer is the most popular of the four. It is used to dim and switch on or off most of the lighting in your home. If your lights are dimmable and you have a neutral wire in the junction box you want to install it in, this model is for you. 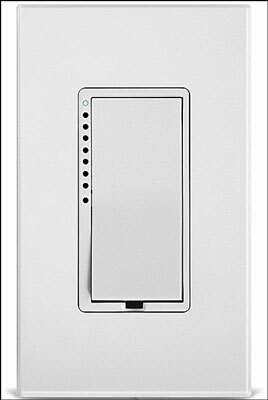 Those of you who like a bit of style to go along with your tech, have no fear: INSTEON dimmers and switches don’t just come in white. They come in a variety of designer colors to suit almost any decor need. INSTEON is rocking with the lights, dimmers, and switches, but this is the age of the smartphone, where people demand that everything from controlling their lights to making a pot of coffee can be done with a tap or swipe of the screen. This isn’t lost on the good people at INSTEON, as evidenced by their attention to detail in their smart hub and apps for iOS and Android devices. The INSTEON hub is the center of your INSTEON-enabled home. It not only connects all your INSTEON devices in one location, but also provides access to your devices via the previously mentioned app. You are always connected to your home’s lighting, whether you’re there or halfway around the world (as long as you have Internet access, of course). All your settings are stored in the cloud, so no matter how many smartphones or tablets you have, you can use and access the same settings from all of them. Receive email or instant message alerts whenever a problem or other incident arises. Your purchase of the hub is a one-time expense; no monthly fees with INSTEON! The hub also utilizes dual-band technology. Dual-band allows INSTEON to use both the power lines in your home and RF to communicate among INSTEON devices. Access your hub and interact with your INSTEON devices via the iOS or Android app on your smart devices, or via a web browser on your computer. The INSTEON app allows you to control all your INSTEON devices from your smart device, whether a phone or tablet, as long as it runs a relatively recent version of an iOS or Android operating system. Control individual lighting devices within your home, including bulbs and/or dimmers and switches. Set up lighting scenes, and implement them whether home or away. Make schedules for your lights to come on or go off as you please, depending on the time of day or night. Adjust levels and ramp rates on the fly.